Resident Evil 4 Leon Jacket is the replica as seen in the Resident Evil 4 third-person shooter survival horror video game. This jacket was worn by Leon S. Kennedy in the game. 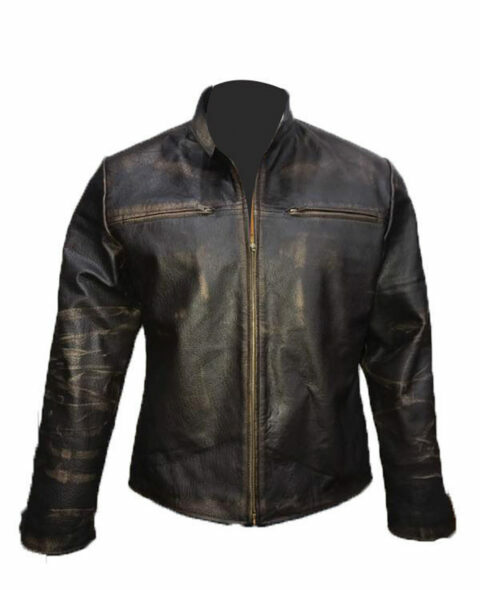 The Resident Evil 4 Leon Jacket is made of high quality 100% real leather. It features a front zip fastening, a stand collar with faux trim, a throat latch, two front functional pockets and waist strap buckles for waist adjustments. Inside, the jacket is fully lined with high-quality rayon AKA Bemberg for your high comfort and two inside pockets for keeping your valuables.